Enigma is the specialist abrasion proof ultra soft line from Ultima that is the result of the latest developments in polymer technology. 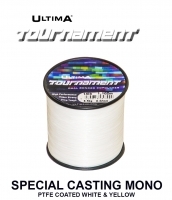 The incorporation of a unique aluminium compound for the first time into a fishing line has produced an abrasion resistance more than 20 times that of normal mono. Remarkably Enigma is also the most supple and memory free line yet developed. 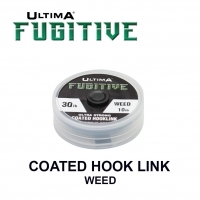 Perfect in the lower diameters for distance casting in the most severe conditions, in higher diameters Enigma is ideal for all types of rig and leader making. The 70lb sand in particular has become the line of choice as a rig body material with many elite anglers. 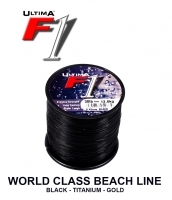 I use Enigma because of its versatile nature – can be pulled straight when three whiting wrap up the body of the rig – comes in a variety of strengths and two extremely good colours which are both easy to spot on the beach but nearly invisible fishing over mud or sand. "Enigma is a remarkable line, memory free with perfect knotting." 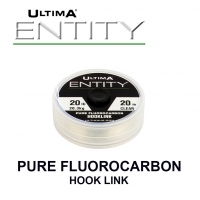 "Enigma is so soft and smooth and yet will take a beating like no other line I have ever used"
"Ultima Enigma is remarkable. 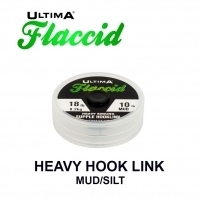 It’s totally memory free and knots perfectly"
I use Enigma for everything from a rig body on standard ‘heavy’ 3 hook flappers for traditional style 6oz fishing to snoods for heavy ground fishing and even in the 50lb sand for estuary flounders with sliding stops. The supple nature of the material make it perfect for a multitude of applications. I use Enigma primarily as a rig body for clipped rigs and flapping options, it stretches well after being wrapped up and any abrasions after use can clearly be viewed on the body allowing you to change it. 'Enigma shock leaders are amazing, the best I've ever used. The abrasion resistance, knot strength and soft feel to these lines is unlike anything I have seen before. 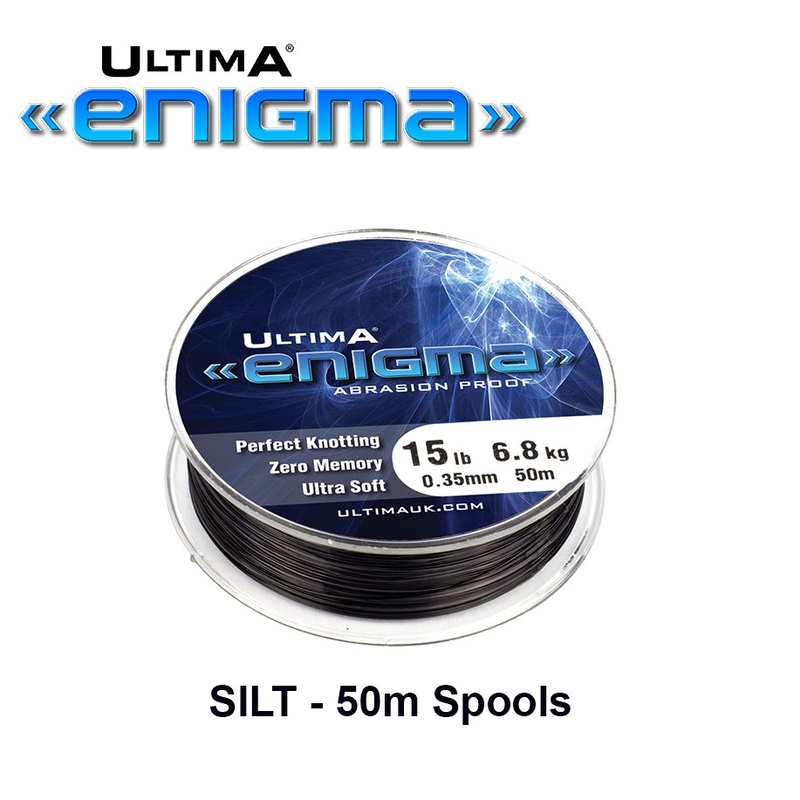 Developed by Ultima's team of world class anglers, Enigma is the remarkable new leader that is, as one would expect from Ultima. Incredibly strong with phenomenal knot strength. The remarkable fact about Enigma is that it offers two completely opposite characteristics married together in this unique product. The inclusion of a patented new aluminium compound has increased the abrasion resistance of Enigma to more than twenty times that of a standard mono. Remarkable enough in itself, but by also using the very latest polymer technology, Ultima Enigma is also the supplest and smoothest leader imaginable, with absolutely no memory. 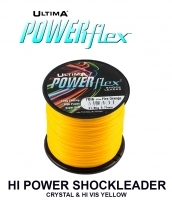 Tested extensively at the highest level Enigma should be the lealer of choice for any saltwater angler.